Personal care stocking stuffers are a simple, yet great way to surprise everyone in the family. Even the naughty ones. These are meant to be small, cute, and functional. Here is a list of excellent ideas for personal care stocking stuffers. There is a product for the nice and even the naughty. 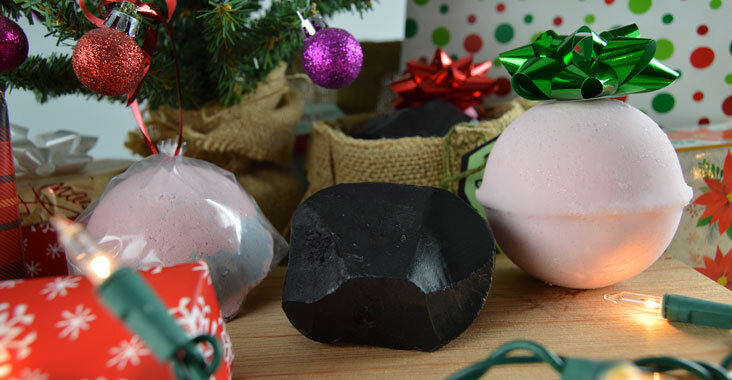 Soap That Looks Like Lumps Of Coal Is Perfect For The Naughty Ones. 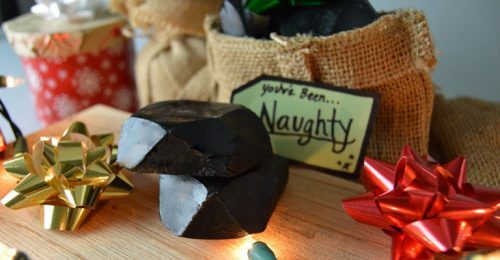 Lumps of coal soap give the naughty ones a chance to clean up their act. Package these cute little soaps in burlap bags and you have Saint Nicks gift for misbehaved children. This Recipe only uses fragrance and our Artisan Black Charcoal Sulfate-Free Melt and Pour Glycerin Soap Base. Melt the soap and add fragrance. Pour the hot scented soap into a loaf mold. You can use just about any mold, however, use one that is deep enough to make lumps of coal. Once the soap has cooled and hardened, randomly cut the soap on the edges to give the look of a clump of coal. Finally, add a couple to each burlap bag, then tie it with a ribbon and tag. Use our basic bath bomb recipe to make a whole batch for your shelves. There are two ways that you can execute this. First, you can use clear fillable bath bombs that you can get on Amazon. Or you can make each bath bomb, and wrap it in clear cellophane. Then tie it with ribbon and add a tag. Hang them on the tree or stuff them in the stockings. 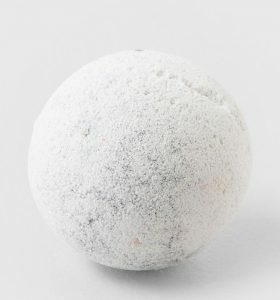 Look to our snowball bath bomb recipe made last year. You can find all of the ingredients here on the website. 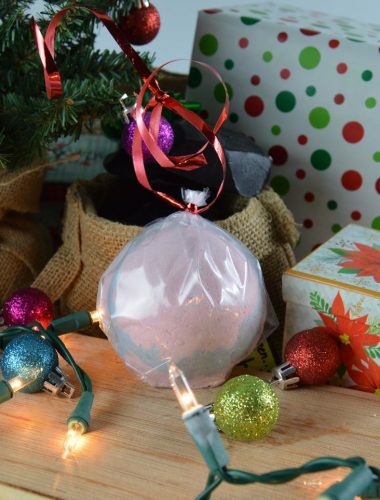 Here is a crafty idea for displaying these winter wonderland inspired bath bombs. Stack them up like snowmen. Heat wrap each bath bomb and then glue the bases to one another. Add stickers for the eyes and smile of frosty. And for the final touch, give him a top hat and scarf to make him look cozy. Here is a link for the bath bomb molds we use. They make round bath fizzies with a somewhat flat bottom. Which is good for standing them on their own.